It was a bitter February morning. The piled up snow outside our sliding door a fresh reminder of the latest pummeling. We were studying hard and journaling diagrams of air currents when our book began to share about doldrums. Centuries ago, before modern boat engines, sailors dreaded these deadened air currents because they could find themselves stuck, going nowhere, for up to weeks on end when caught in one. I chuckled because, just the day before, I had talked with a homeschooling friend of small children and she lamented the latest snowstorm slamming her remote area of our state and leaving her stranded, unable to go anywhere. I remember those days all so well. We once lived remotely on a mountain side. More than not being able to get out of our driveway was then trying to traverse down the steep road which wound from our street to the base of the mountain-side and highways to 'civilization'. Only our 4x4 Truck could trustingly make the trip... and I avoided driving the truck. With small children at the time, it was easy to be threatened by the doldrums... to go crazy with cabin fever. And while this week, in contrast to last's, has brought a break in our weather here in south-central Montana, I know many others around the country are still feeling the full blow of Punxsutawney's predictions. What to do with the doldrums? Make paper mache`... whether it is a model of something you are studying in history or science or something just for fun. You could even make a paper mache` mask and encourage the kids to play dress-up! The recipes are a sinch, though they are messy, it's the doldrums, what else are you going to do?! Board game marathon complete with popcorn or other favorite snack. Everyone picks their favorite. Bakery... bake some treats to share with dad when he gets home (it will warm his heart and your home!) or even go all out with a double-batch and bundle up to trek out to your neighbors and share. Play store... break out the play money and some old toys and 'price tags'. Let the kids "price" their old toys and "sell" them to each other. Make sure they know all sales are void after 5pm (it is just a game kiddos). Use this opportunity to talk with them about fare pricing and good business manners. Fashion show, if you have girls (some boys actually like this too!) use rarely warn outfits, try new combos, and even let the kids invade your closet! Tea party, even with boys, it is a chance for them to learn good manners at stately events. You can have them help with the preparations and if you don't have fancy tea cups, no worries, use what you have on hand. I also use to break out fancy hats, long gloves and even allow their best-outfits at these 'parties'... teddy bears are welcome too! Read a chapter book together, allowing them to draw the scenes the story elicits in their minds. Put on a play or puppet show based on a self-written story or favorite book. Be a world traveler... pick a country (each the same or different) and look in books, encyclopedias, the internet, and travel videos to learn more. Then, make a travel brochure highlighting main attractions... you can even try recipes and crafts from the countries you learn about. Letters to loved ones and friends... write letters and draw pictures for family and friends far away. When my mom and grandfather passed away (separately) and I had the huge task of going through their belongings, I found these letters and pictures from over the years stashed in special places. It may look like a blob with 10 eyes when your youngest scribbles a picture in marker or barely legible when he "writes" a seemingly none-sensed letter with backwards letter in that big fat pencil on extra-wide lines; but to someone far away, it is a masterpiece of love and affection telling a story of grand adventure and expression deep affection. These are just a few ideas and things we have done over the years on those doldrum days/weeks. For recipes and inspiration, Pinterest (and the internet in general) carry a plethora of ideas. ... was far from the doldrums. After taking last week off for illness and then I was still sick this week, it was our directive to push through in our big lets-not-fall-behind-after-missing-a-month-and-a-half-this-fall mode! Sadly, the illness we have all had finally caught up with Brenden on Thursday. He was well enough to push through Science and History but I let him off the hook on his other regulars. We started this school year with my kids doing 2 different programs (Biology and Earth Science since they are 11th and 9th) and it was exhausting. We all agreed to combine on Earth Science to fill some gaps for my 11th grader and come together next year on biology for both. It is working great. 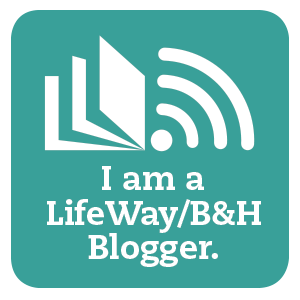 I use Abeka because it was gifted to me many years ago when I first started homeschooling. I love the creationist world view and the colorful and well labeled diagrams in their books. The kids (naturally) are board with reading a text so I do the reading/skimming in a VERY animated way (so it stays interesting!!) and usually draw the diagrams on our dry-erase board, explaining as I go, and they copy. More complex diagrams I give them the book to copy. Don't be afraid to teach secondary science... just follow the book with your kiddos and all that you learned when you were in high school will come back to you. Experiments aren't all that complicated either when you look at the variety of supplies you can replicate most experiments with in your own kitchen. The internet and many books are loaded with ideas to this end as well. Brooke pushed through on her regs. She is my math nut and I love teaching it to her because she is so determined to figure things out. If you are afraid to homeschool high schoolers because of Algebra, don't fear. I was nervous at first but here is my tip: you took algebra in high school too and the information is tucked way back in the recesses of your brain. If you walk-through-the-book with your 'student' you will get it. Start with lesson 1 and do EVERY lesson with them (if you miss any you may loose a building block you need to piece subsequent lessons together). To put your mind at ease, I'm not mathematically inclined and sometimes I am stumped. That's when I hit YouTube for a how-to video and I usually get my bearings. Also, don't feel like you have to put on a facade for you kids and act like you know it all! You CAN tell them you are rusty or simply not the greatest at this subject, they will understand and, if anything, be inspired by your effort. Sometimes, when I get stuck, they help me out!! If this method doesn't work for you (and DO sincerely try it), there are numerous online classes for secondary math, complete with tutorials. CTCMath is one of my favorites and the owners of the site are friendly and helpful. I used them for a year for one of my harder to teach 'students' and it helped tremendously. Kahn Academy is another helpful one. We used their videos for Geometry one year. If you know of any others that are free or inexpensive, please feel free to chime in below in the comments. He bought these for his sister! He's a sweety! My daughter's rabbit, Sam Wise, enjoyed the break in the weather because the tarp could now be lifted off the cage for fresh air, sunshine, and a great view of the world beyond chicken-wire! My camera... and this stylish pair of rubber boots arrived this week. Just in time for Valentine's Day... can you tell I am in love?! ❤❤❤ My hubby chuckled as I acted like a kid with my new 'toys'! I'm most excited for feeling better (which seemed to finally start happening FRIDAY) so we can go have some adventures! We ordered new batteries for our old camera and got it working again, which I gave to my youngest daughter. We will be able to log "Photography" class for her this year as her and I set out on some photo adventures. Even while we are stuck around the house feeling less-than-stellar, we have found ways to put our cameras to work. We took on a photography challenge we found on Pinterest. With stylishly dry feet, I look forward to learning the ins-and-outs of my new camera while sharing those tips for varied application with my daughter and her new (our old) one. BTW, finding this tip on DIY Flash Reflectors from Kris Bales at Weird Unsocialized Homeschoolers is phenomenal. I tried it out Friday morning with a short stack of index cards and it worked marvelously, though I want to get some sturdier tack board for a permanent do-hicky! You can see where I need to follow her directions more fully, top right corner is where the flash made it through. Otherwise, I loved the results. I'll have to try some before-and-afters sometime. That about sums up our week. How has yours been? I pray this next one is full of blessings and marvelous adventures for you! Love all your tips for getting through a time of winter doldrums. We've enjoyed many of those activities at our house over the years. Sorry to hear you've had to deal with sickness, but glad everyone is on the mend now. 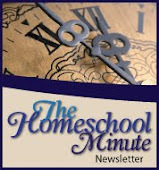 Thanks for linking up this great post at Homeschool Highlights!